If you want all eyes on you when you walk into a room, then MODELS OWN cosmetics is the collection you’ll want in your makeup bag. Your search for a brilliant range of color cosmetics is over–and it’s all thanks to the masterful product development team from the UK! 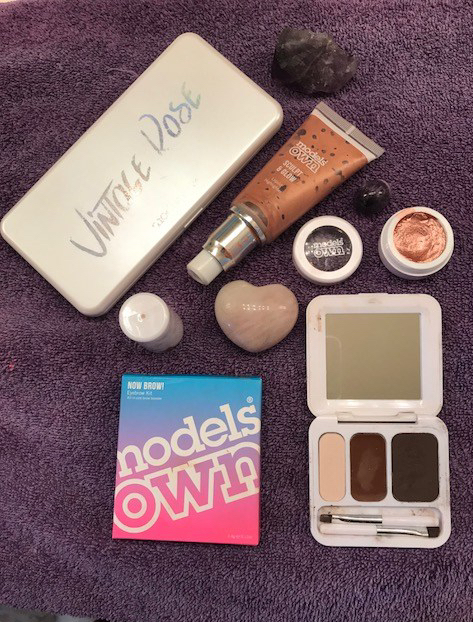 Since 2008, MODELS OWN is known globally for their bold, fun colors as they take on a wildly successful makeup and accessories line that you can find at ULTA. Their liquid lipsticks pack on the vibrancy and their extensive range of highlighters have you social media ready at any moment. Moreover, their beautiful palettes allow you to be fickle and brave as you push your boundaries with makeup and fall in love with different looks over and over. Their double ended eyeliner is amazing. Liquid on one end, and a soft pencil on the other end. I also love their color chrome eyeshadow kit which comes with its own primer and mixing tray so you can rock your foiled eyelids with a dramatic pop of color. Their Sculpt & Glow liquid highlighter in Rose Gold is a winner and left me camera ready all day. It’s truly a fabulous product line that I enjoy wearing, and I know you will be too! With more than 650 eye, face and lip products that meet the demand for fast beauty, MODELS OWN doesn’t believe in one look day in and day out. Putting the color back into cosmetics is what they are all about. No rules, no judgments, no limits. Try MODELS OWN for bravery in beauty.